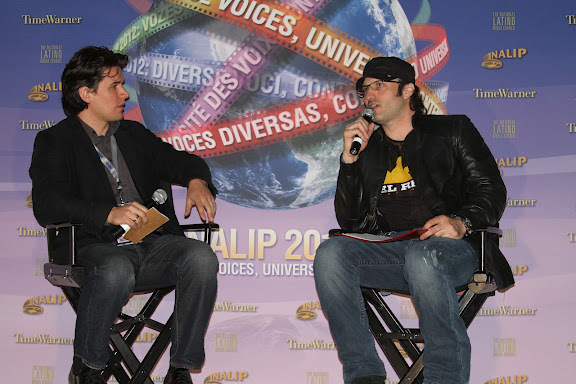 The National Association of Latino Independent Producers (NALIP) is ramping up for its 14th Annual Conference this weekend and to my great gusto, the discourse promises to be more specific, relevant and fresh than last year on how to empower Latino independent storytellers. Judging by the practical and forward-thinking panel discussions, NALIP’s Official Selection YouTube channel showcasing a curated selection of current film trailers, and the hip, savvy talent invited to represent, NALIP is setting the tone for discovery and healthy debate. Chief among the themes will be a contextualized creative response to the much-propagated Latino trillion dollar purchasing power statistic, and how to strategically seize territorial claim to the wild wild west expansion of online distribution platforms. Among the established and rising American Latino actors and filmmakers on tap are Richard Montoya, Cristina Ibarra, Aurora Guerrero, Gina Rodriguez, Danny Trejo, Jeremy Ray Valdez, and Jesse Garcia. 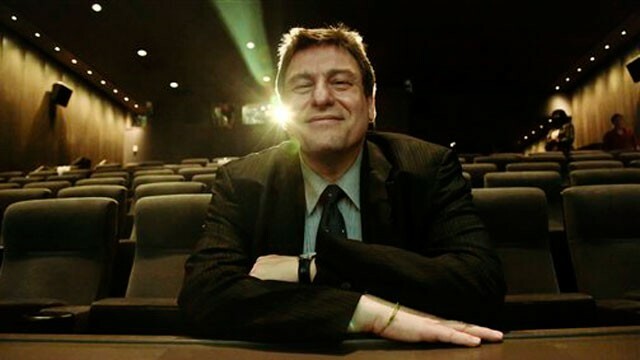 The keynote speech on Friday will be given by none other than Richard Peña, one of the most influential film curators in the world who headed the prestigious Film Society of Lincoln Center for twenty-five years. It will be an insightful and thoughtful conversation moderated by the sensitive, masterly formal documentarian and MacArthur Genius Grant fellow, Natalia Almada. As this year’s NALIP Conference Co-Chair, Almada helped inform the direction of the conference and scored Peña’s participation. When talking about how each year’s conference organically takes shape with the feedback of board members, staff and hosting committee, Beni Matias, Acting Executive Director of NALIP, referenced Natalia’s concern of prominently featuring the voice of the independent filmmaker over the commercial as a guiding pursuit. Natalia’s involvement with NALIP goes back to 2003 when she became the recipient of the Estela Award, given in recognition to an emerging filmmaker who has ‘arrived’. Her revelatory documentaries include El Velador, El General and Al Otro Lado – all which have been critically acclaimed worldwide and have been featured in museums and screened at film festivals including Sundance and Director’s Fortnight at the Cannes Film Festival. I asked her to share a few words about NALIP’s import and she replied over email, “I think that more than anything else the conference is a place where we can really exchange ideas, address shared concerns in our community and collectively fuel to keep going”. Natalia is part of the sub-cine filmmaking crew who came of age through NALIP like Cristina Ibarra, Alex Rivera and Bernardo Ruiz. In fourteen years the organization has managed to be one of the few consistent Latino forums which has nurtured a family of artists/active organizers. 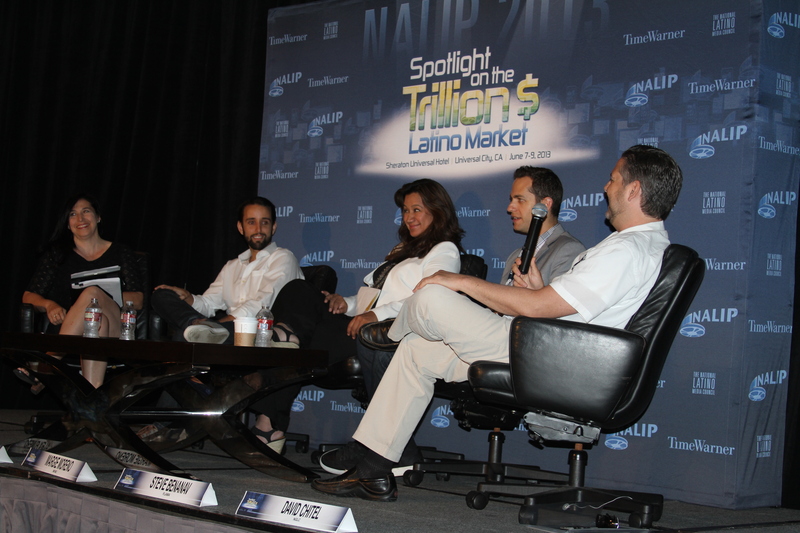 Along with Beni Mathias, Maria Agui Carter who is a filmmaker and the Chair of the Board of Directors, has been actively with NALIP since the beginning. 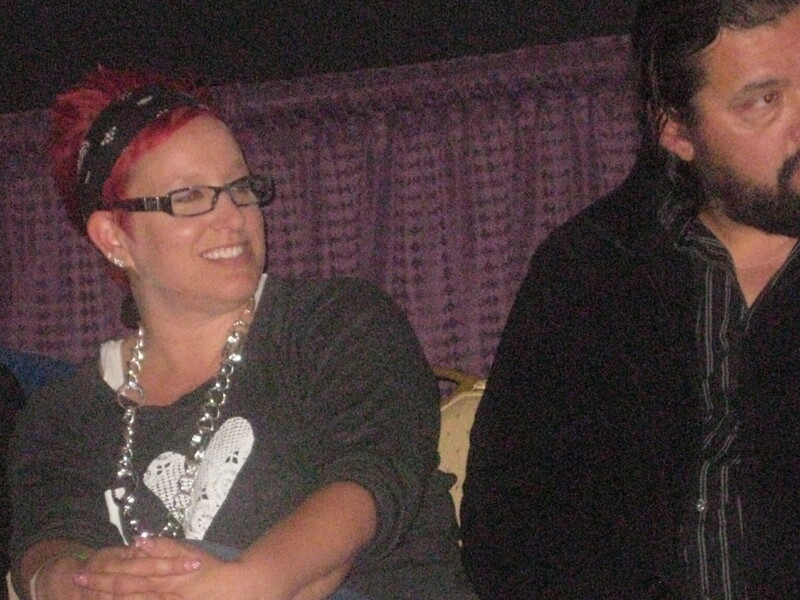 Other members who have continued to be involved with the organization since the beginning include Louis Perego Moreno who use to spearhead chapter leadership meetings, Jimmy Mendiola filmmaker and Director of CineFestival in San Antonio, Frank Gonzalez from Disney/ABC, Kim Meyers and Terri Lopez at WGA, Alex Nogales, to name just a few. NALIP has also enjoyed a sustained relationship with Time Warner and HBO who have taken turns at being the presenting partners of the conference since 2000. 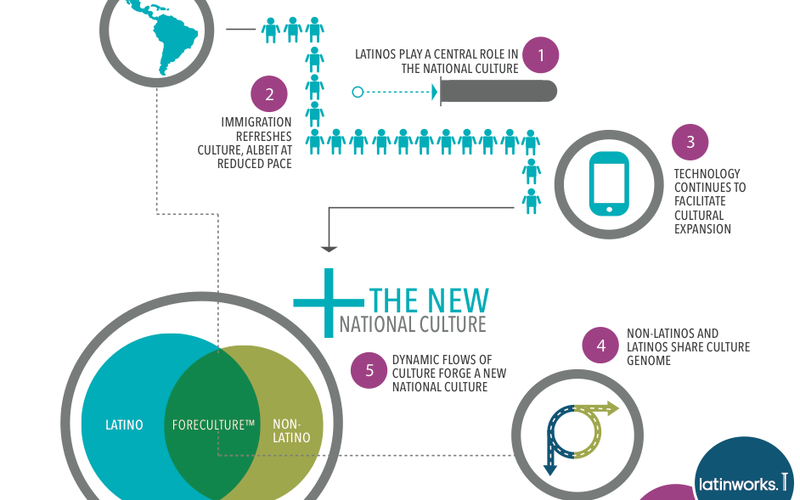 “Forbes magazine has called the Latino Market the “New Media Jackpot.” What is at stake? Why is every network and cable outlet now chasing the Latino market and how are Latino voices participating in this explosion not just as consumers but as creators? There it is: “But as creators”. Amid all the hoopla over the rising Latino market data that makes corporate brands salivate over how to exploit us as consumers, I have yet to hear any of us fashion a reckoning of a counter creative force. We should be imagining how to harness, demand and unleash our creative power with that kind of purchasing power. Instead, the data is being used to make us a target of a non-stop branding attack in which the depletion of our capital power and identity is at stake. Aimed to provide a more significant showcase for Latino filmmakers, NALIP is spotlighting recent films on their NALIP YouTube channel. They’ve done away with the NALIPsters On View programming where members could openly screen their work during the conference. Those screening rooms tended to be lightly attended since there was little visibility and competition from the panel programming. Instead, this year NALIP will be uploading trailers of current and upcoming films starting Thursday, June 6. The plan is to build buzz and promote the curated selection of 15 documentaries, narrative features and shorts. 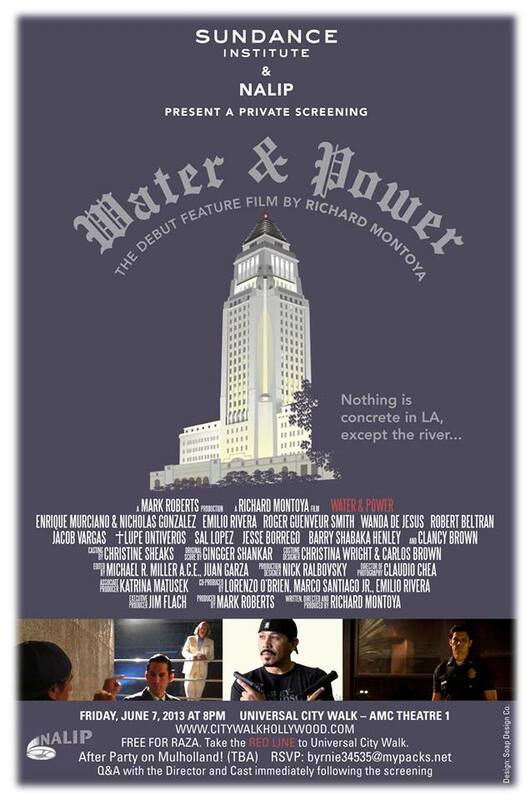 Without a doubt, the most anticipated happening of this year’s conference will be the NALIP and Sundance Institute screening of Richard Montoya’s debut feature film, Water & Power at the AMC CityWalk. The impact and influence of this Chicano icon will be evident by the droves of fans, familia and homies, a wide range of community activists, artists and politicians who will be in attendance – La raza who reflect the young and old blood of the characters he writes. I listed W&P as number one in my top five movies to watch out for in 2013 so I’m thrilled to see it screen this way. Richard Peña will moderate a Q&A with Montoya after the screening. I couldn’t think of a better filmmaker and moderator pairing. On Saturday at the Awards Gala, Machete Kills star Danny Trejo, the menacing but actually sweet hood actor will be presented with a Lifetime Achievement Award. Aurora Guerrero, filmmaker of Mosquita y Mari will be honored with the Estela Award that comes with a $7500 grant from McDonalds. 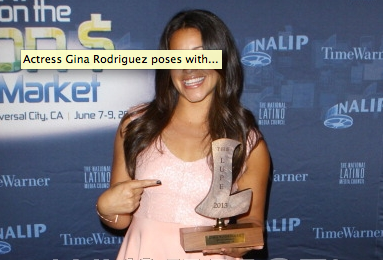 And in what will surely be an emotionally inspiring moment, the first ever La Lupe Award will be bestowed to Gina Rodriguez. 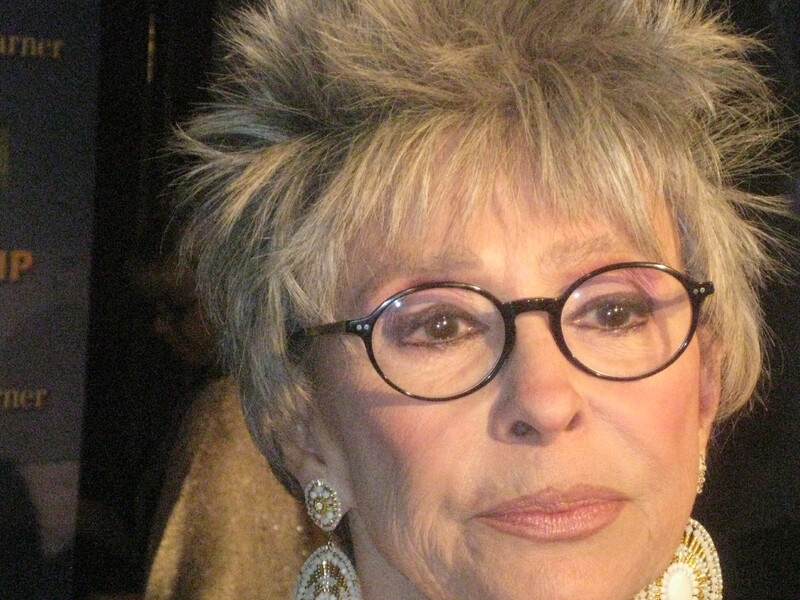 Her effervescence completely evokes the spitfire tenacity of the late great Lupe Ontiveros. I couldn’t think of a more perfect homage and passing of the torch. While I found last year’s panel topics all over the place, this year it feels more targeted and practical. Panels like Beyond The Latino Market: Getting Your Film Out To A Wider Audience with Gabriel Reyes, Writing on American Latino films moderated by Carlos Gutierrez of Cinema Tropical, the leading cross platform company promoting Latin and Latino Cinema (and yours truly will be participating! ), Whatever It Takes: DIY Technology and the Democratization of Content Creation, Major writing programs and initiatives at networks and studios for writers. On Sunday the Closing Plenary will be Latinos and Media Stereotypes in which Natalia Almada, Richard Montoya, Maria Agui Carter, Yancey Arias will participate and moderated by Mandalit del Barco of NPR. These are all highly experienced, opinionated individuals with distinct tastes and critical contribution to content so I expect this to be one of the more livelier talks. Overall, this year’s NALIP conference is about to go off! 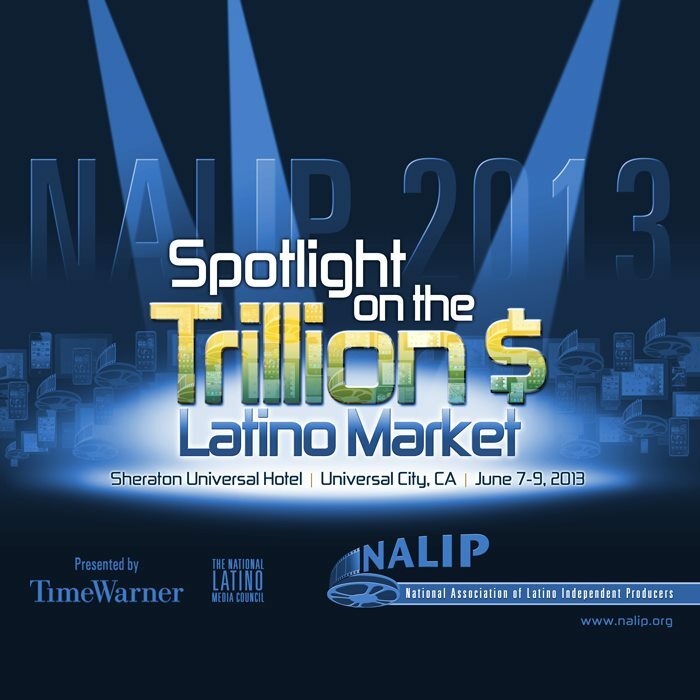 NALIP 2013 Spotlight on the Trillion Dollar Latino Market will take place June 7-9 at the Universal Sheraton Hotel. It was pretty rad to talk to co-director, Michael D. Olmos and his lead actress, Gina Rodriguez at NALIP. 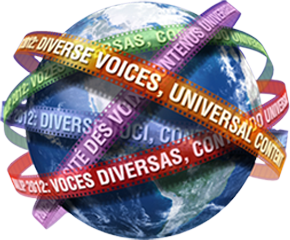 Check out the interviews by linking on their names, where they talk about their movie Filly Brown (which will be released by Indomina Releasing), and the US Latino film community in general. Khool-Aid Rios in the hot pink hair - Pocos pero locos! And if you don’t know about Lisa “Khool-Aid” Rios, who plays herself as the DJ who puts Filly on the spot, and represents her flagship music stylings channel, Pocos Pero Locos, you should. We are all dying to get our hands on the official soundtrack she is producing along with E-Dubb Rios which we can expect sometime in the fall. 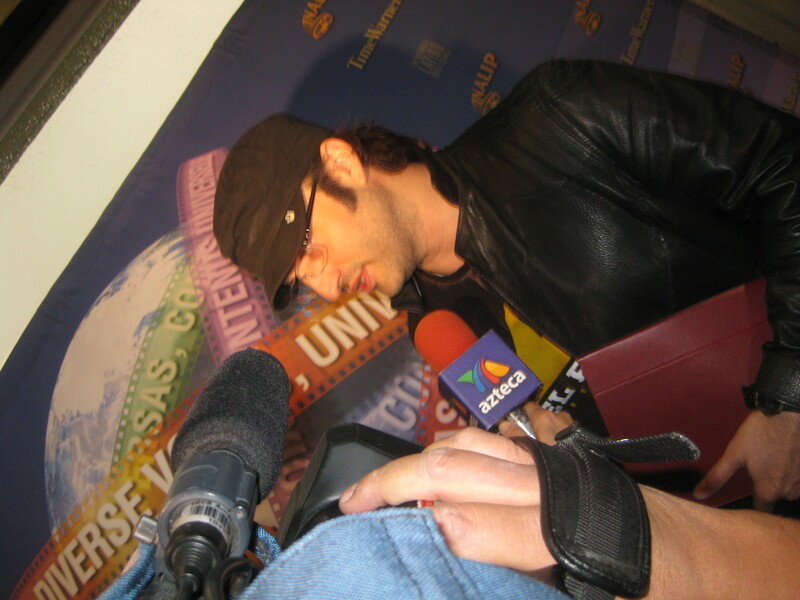 Last Friday while lunching on poached salmon and tomato bisque on the 21st banquet floor of the Universal City Sheraton, Robert Rodriguez enthusiastically shared a few anecdotes from his early career, remarking on the 20th anniversary of EL Mariachi, and expounding nuggets of wisdom like, Think Big, Be Positive and Take a NMIDIM mentality, a cute acronym for Never Mind I’ll Do It Myself, a really named production company of his. Referring to a notebook on his lap, his conversation sounded a bit scripted, with distinct pauses that cued applause from the packed dining hall. The floor-to-ceiling windows were all steamed up with only a few visible gray clouds which obstructed the usual gorgeous Hollywood Hills vista, giving our one-on-one setting with RR feel as if we had come to visit him at the top of Mount Olympus. I crashed a sponsor table in the front for a better view of the tiny stage that Rodriguez shared with a moderator who replaced the scheduled Luis Castro of HBO and who in the second half seemed to lose direction of the conversation which Rodriguez naturally hijacked. There was good energy in the room but looking around I saw more NALIP organizers, panelists, and sponsors than upcoming artists – which kind of defeats the purpose since the address is geared to green, next-generation of writers/directors/producers/actors. 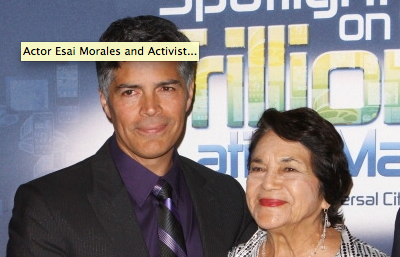 …”Now if I don’t specifically say I’m Chicano….I didn’t ever intentionally do that. But if you ask me now, ‘Would I say I’m Chicano?,’ You know I would probably say….I wouldn’t make myself that specific”. 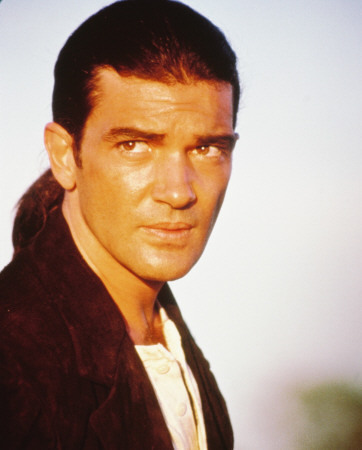 Rodriguez says that when he got to Hollywood to make Desperado he wasn’t trying to make a Latin film but a film that was entertaining just like when he saw John Woo’s, The Killer and he thought, “Damn I want to be Chinese”. With Desperado he liked the idea of people watching it, who would say, “Wow I want to be Mexican”. About El Rey, he mentioned that he had considered creating TV shows before, but was turned off by having to compete with everyone in town for an NBC slot. Instead he thought if I have my own network I can put on any show I want (Think Big). He was quite open about what his pitch was to Comcast. Male oriented –‘”So the guys think if I’m home, I’ll be taken care of. If you’re a girl and a badass, you’ll like it too – if you are anyone who likes cool programming you’ll like it. Its for an English language, 2nd, 3rd generation, highest growing population, and they don’t have anywhere else to go. Its going to be addicting and intoxicating.” Rodriguez further ingratiated himself with the room by saying, “ Advertisers are desperate. They keep banging their heads on the wall asking how do we get to their wallet (pointing to his hip pocket), but nobody talks about this (pointing to his heart). So I was coming at it in a different way”. He went on to say that we have the key to content and ideas people haven’t seen before and guess what, that’s an advantage, that no one has heard your voices. If his network fails to succeed, he encourages us to sift through the ashes of his failure to pick it up and move it forward. All in all, Rodriguez had valuable advice to share. Themes like Finding Success in your Failures and Staying Positive made for an inspirational address. Yet I’m personally skeptical when it comes to him talking about his network becoming a platform to serve under-represented voices and stories that are made by and for the US Latino community with their distinct point of view. What does he mean exactly? Well, here’s a Variety article where RR talks about the underserved hispanic male audience (!). Ever since he started shooting movies, beginning with the engaging, b/w, sibling rivalry, $400 short film, Bedhead, you can say Rodriguez has written from his heart and what he knows best – and that’s big family dynamics (he has nine brothers and sisters, and has five kids of his own) and awesome action/adventure. If you ask me, that is as universal of a genre classification you can get. What distinguishes Rodriguez’s work is those brushes of Tejano culture, which as I learned firsthand with my recent trip to San Antonio, is a very distinct socio/political culture within the US Latino spectrum and one beyond the 1st generation of bi-lingual folks like myself. Rodriguez’s impact in the indie 90s film scene is huge and two-fold; On top of showing major studios he can capture a market they can’t by making an entertaining movie for as little as $10,000, the fact that his last name is Rodriguez and his protagonists were heroes who spoke English with an accent, made a difference to the growing population of US Latinos. After all, Rodriguez’s first trilogy began with romanticizing and glorifying the mariachi, an icon terribly dear and close to Latinos. Wrap it in gritty action packaging and it works for that lucrative 18-35 male demographic. Rodriguez says he’s consciously been subversive about the identity angle. Which is an interesting observation I made and makes me wonder if he’d have the luxury of being able to work outside the system if his genre was not the potentially commercial mine of the family and male driven audience? Would he be as successful if his films were say showed the true life contemporary struggles of underrepresented and multi-dimenstional gay Latinos and empowered females? The point is he knows his audience. His work up to now has represented US Latinos in a corporal sense. I agree that identifying with the physical image onscreen can be an empowering experience but there’s a difference between taking a hero archetype and painting him/her Latino, and making a Hero out of an everyday Latino in middle america. Whether simply because he’s a successful Latino in a position of power makes Robert Rodriguez obligated to represent the diversity of the US Latino fragmented mass is debatable. And anyway why would he want to suddenly step outside his tried and true money making action fare? Lets be real, Comcast licensed him a network because they are after the audience of Rodriguez’s franchises, El Mariachi, Spy Kids and Machete. So while I would love to see him hold the door wide open and program content that demonstrates the rich dimensionality of Latinas and the Latino LGBT community – that’s not going to happen here. However, if he’s still got that subversive renegade in him, he just might ‘flip the script’ and support unique content on his channel made by the next generation of storytellers who are authentically rendering their unheard, real life based experiences into multi-media. I love intoxicating fantasy and pop entertainment as much as the next person….but thats just one dimension of our lives. I say we take the hooligan to task and pitch El Rey our most kickass and personal passion projects for a slot on the network. Contact his partners, John Fogelman and Cristina Patwa at Factory Made Ventures at info@FactoryMade.com. Lets see just how open and interested they are to tapping our talent and showing our point of view. Described as the largest gathering of Latinos working in media in the U.S., the 13th annual National Association of Latino Independent Producers (NALIP) Conference presented by Time Warner, most actively by way of HBO Latino and NBC Universal, and The National Latino Media Council, took place this weekend at the model tourist convention hub, Universal City Sheraton. NALIP finds itself in a bit of a transition following Kathryn Galan’s departure as Executive Director who spent almost eleven years at the organization shaping it into what it is today. The search is still on for a replacement but guiding the transition as Interim Director is the affable Beni Matias who started with NALIP from its inception. A couple of the board members are new, including Rosa Alonso, founder of My Latino Voice who will lend her digital marketing expertise to the organization. These high level leadership changes can potentially bring about a revitalized and evolving mission to NALIP’s growing legacy. Covering the conference for Latin Heat Online Magazine, I greatly enjoyed the ability to observe and take part with an inquisitive gonzo-like spirit. Indeed I’d be remiss if I did not approach the significant Latino organization with an on-the-ground, critical eye, especially now while it is in a very ‘review mode’ on how to continue to stay relevant. Its crucial to recognize its monumental formation and landmark achievements. Equally as crucial is to identify how to pragmatically further the conversation it began thirteen years ago about US Latino representation in front and behind the camera. Most important is to distill the relevant but sometimes incongruent messaging – for instance, the Robert Rodriguez keynote illustrated a polar opposite way of thinking to that of Ron Meyer’s keynote (Do we want to Break Out or Break In to the mainstream? ), which makes for an intriguing forum of deeper discussion. What to expect from Chicana from Chicago’s multi-part NALIP coverage? 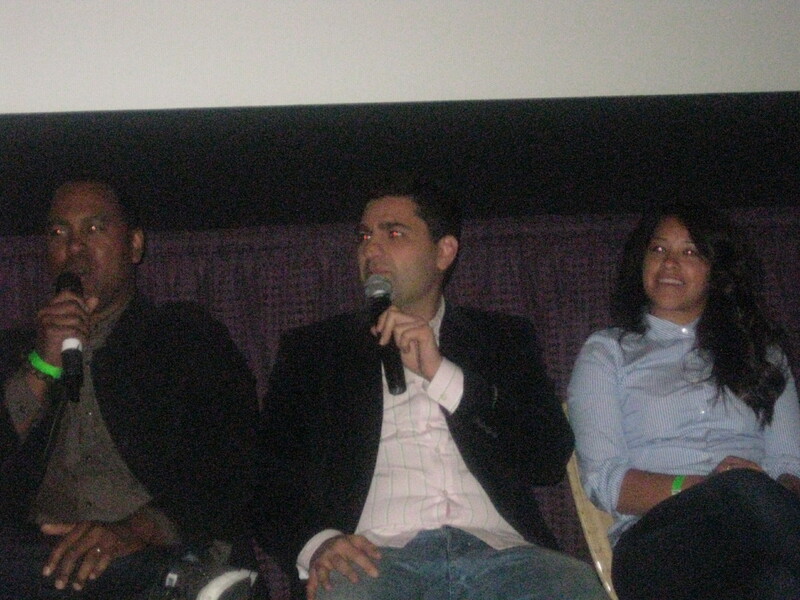 A couple of case-studies/interviews with Rashaad Ernesto Green who epitomizes the DIY mentality which made his feature debut, Gun Hill Road a unique success story, the filmmaker Michael D. Olmos and his star, Gina Rodriguez of Filly Brown who embody the US Latino pop culture flavor. I’d like to recognize the influential Gatekeepers at non-profit, artistic development institutions responsible for introducing the most fresh, diverse and underrepresented voices to audiences, like Shari Frilot, Senior Programmer at Sundance Film Festival, Tamir Muhammad, Director of Feature Programming at Tribeca Film Institute and Richard Ray Perez who is the newest and welcome U.S. Latino staff addition at Sundance Institute’s Documentary Film Program. I’m also most excited to give you a heads up on fresh new film and multi-media projects in the works, and I’ll make sure to dish on the fancy Awards Gala. Training our content producers and artists, to not only compete but to raise the bar and expectations in every industry. Networking and sharing with peers, and takeaway the hard lessons learned by our elders, those who first paved in-roads into mainstreams, like Rita Moreno and Jerry Velasco, recipients of this year’s Lifetime Achievement Awards. Overall, I found NALIP an absolutely positive and celebratory environment. . I’m happy to share my thoughts but I would love and need to hear from YOU. 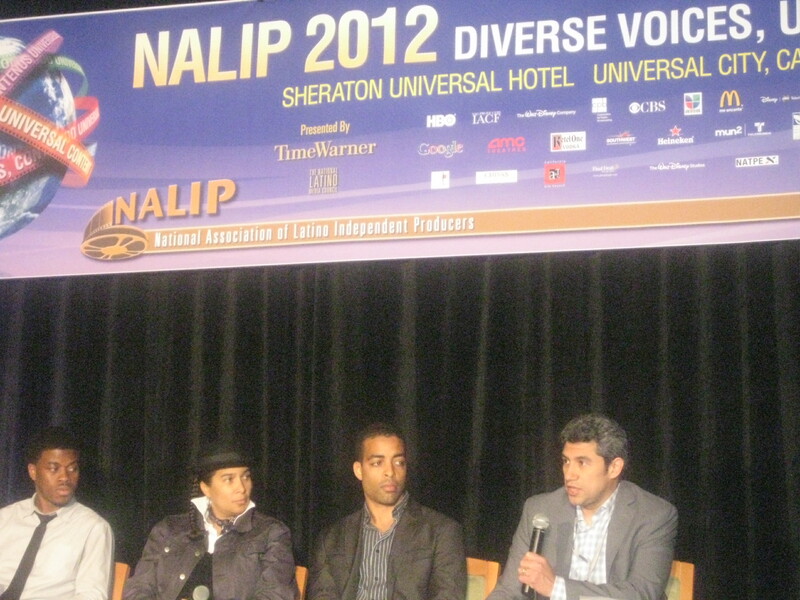 I invite you to engage and kindly ask you to share your comments and observations from this year’s NALIP, and in general the landscape of US Latino representation in media as you’ve experienced it. 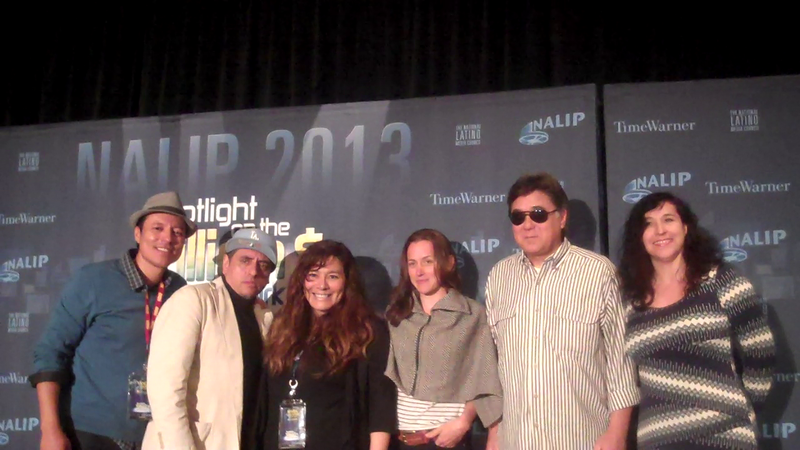 Chicana from Chicago is on the scene at NALIP 2012 thanks to Latin Heat. Armed with a press badge, two borrowed flipcams and camera, I’ll be uploading video and writing coverage from the panels, guests and parties this weekend to find out what la nueva onda of US latino voices are saying about our place in the mainstream. 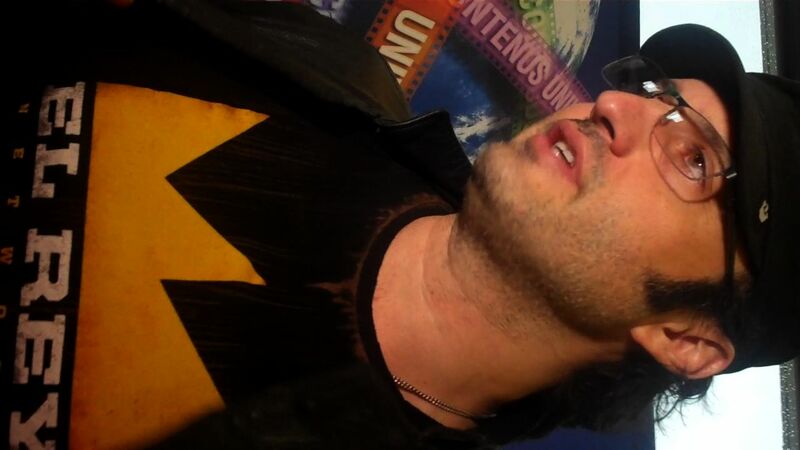 As a teaser, here’s a short spot from Robert Rodriguez about his new network. I apologize for the link. Apparently I don’t have the video setting to embed (its $50, thanks wordpress).